I thought I'd get out of the Golden and Silver Age and head into the comic boom of the late Copper Age for a second. In the comic boom of the 90's, comics were way over printed. New Mutants #98 is one of those books. Despite being a comic with tons of copies available, it is still quite valuable. 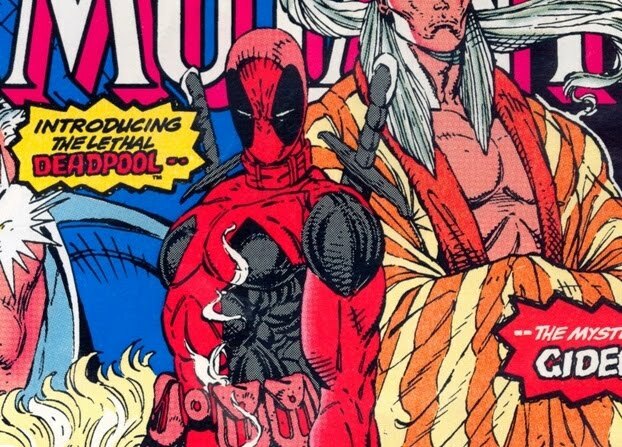 It contains a few first appearances, but none are more important than Deadpool. Deadpool was created by Rob Liefeld and Fabian Nicieza. 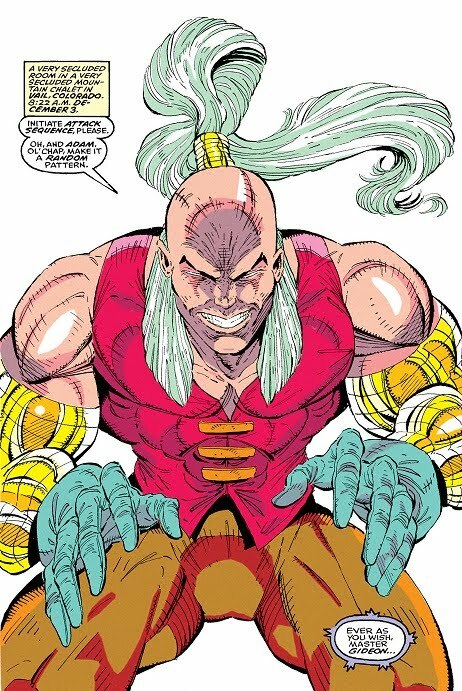 Liefeld created the look of the Merc with a Mouth while Nicieza is responsible for the wit and humor which is what has made him a hugely popular character. Nicieza got his inspiration for the character from two other big name heroes from the Marvel Universe, Spider-Man and Wolverine. 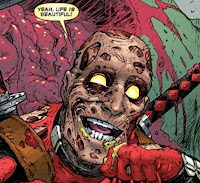 Realizing that he is a character in a comic book, Deadpool often breaks the fourth wall and talks directly to the reader. Deadpool's real name is Wade Wilson. Learning that he had cancer and was going to die, he joined the Weapon X program to try and save his life. This is the same program that Wolverine was a part of. In the program, he was given a mutant healing factor, similar to that of Wolverine. The process saved him from the cancer, but the process left him scarred and disfigured, and a little mentally unstable. Copycat has the ability to mimic anyone that she comes in contact with including the powers of other super heroes. The appearance of Copycat in New Mutants #98 is a little tricky. We don't see her as Copycat in the comic, but as Domino. So, it's weird that it's considered the first appearance of Copycat and not Domino. We see the physical appearance of Domino as she is seen in her actual first appearance in X-Force #11 and don't see Copycat as herself until X-Force #19. Either way, this is considered by the industry as the first appearance of Copycat. Gideon is the baddie in this one. In the beginning, he sailed the ocean blue with Christopher Columbus in 1492, but died on the journey and was buried. But, he was later resurrected. Over the next few hundred years he built the Ophrah Corporation and became massively wealthy. He used his wealth to try and take over the world, just like all the bad guys try and do. His powers are similar that of Rogue's where he can absorb the powers of other mutants. He doesn't have to come into contact with them like Rogue does though. He simply has to be in a close vicinity to them. Since this comic was printed during the comic boom of the 90's, there is no short supply of them. Looking at the CGC census, there are nearly 10,000 copies graded and most of them are 9.4 or above. Of the 9,970 copies, there is only one copy CGC graded a perfect 10. 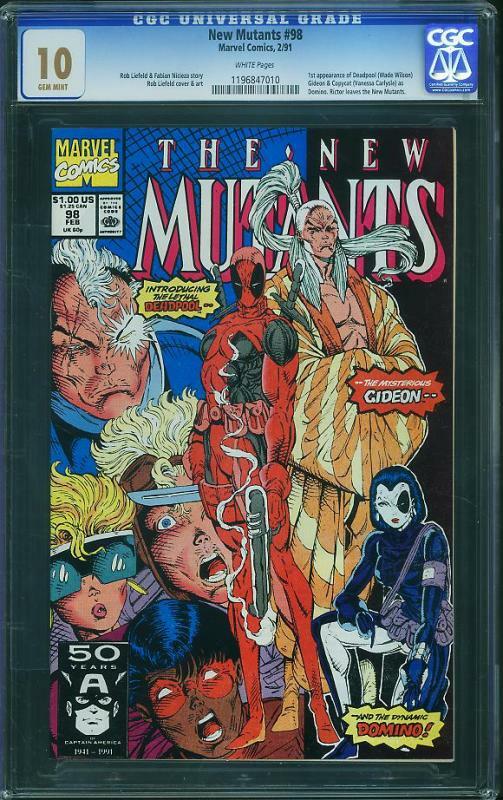 This one perfect copy sold for an astonishing $15,449 in 2013 at ComicLink. There was a sale for a 9.9 in 2015 that sold for $7,600 on eBay, and there is currently a sale pending on ComicLink for $9,201 at the same 9.9 grade. 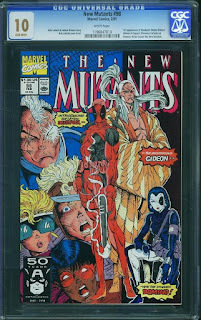 There are only 11 graded 9.9 on the CGC census, with one of those being a Signature Series. There are no shortage of high grade 9.4 - 9.8 copies available on the market either, but it's going to cost you between $300 to $800 for them, however, we may see prices start to drop a little since the movie hype is starting to die down a little. But then again, maybe we won't. There are also a bunch of copies graded by PGX and CBCS, but I don't have any numbers as to how many. A quick search on eBay might give you an idea though. I don't think that this comic is going to be the next Hulk #181 or even an Amazing Spider-Man #129 because there are just way too many high grade copies out there. I'm not saying that these two books are rare, but they don't have nearly as many high grade copies out there as New Mutants #98. Unless you're looking at a rare, ultra high grade 9.9 or 10. Those grades will probably be your best bet for an investment copy of this comic. Looking great so far! Lots of good info on key graded comics...keep up the good work!! Thanks man, I'll do my best.